The Barking Crab is located on the edge of Boston's Fort Point Channel in the Seaport District, South Boston. As you stroll the Boston Harborwalk, you will pass the Children's Museum on the right, and then run into some very colorful rowboats docked at the Boston Rowing Center. 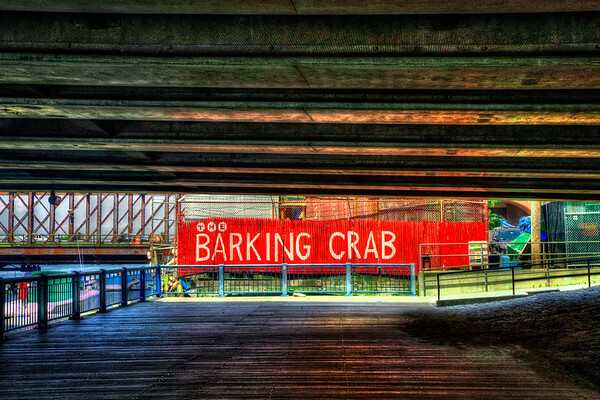 Right in front of you is this gigantic bright red Barking Crab sign pointing you to the right, where you will eventually get to the famous Barking Crab Restaurant.